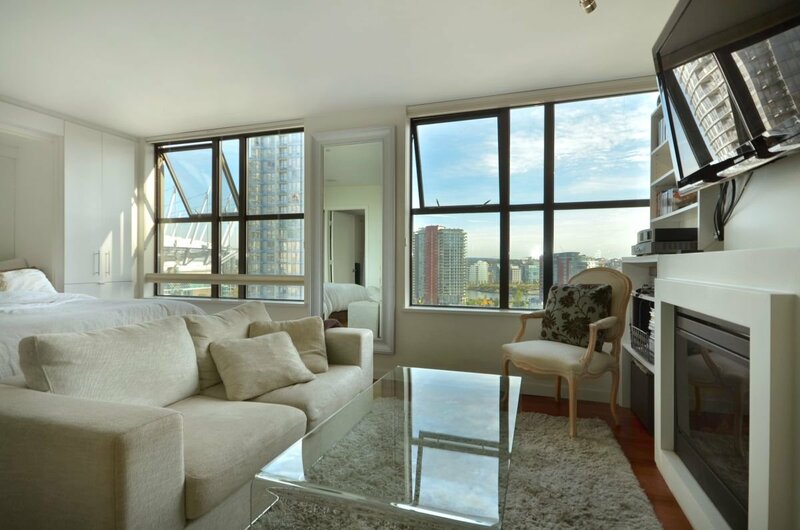 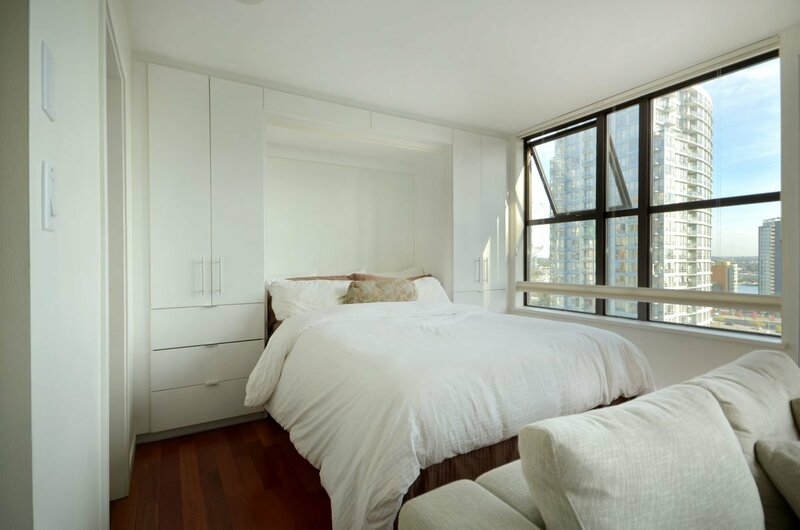 Welcome to your functional well designed studio + flex space condominium. 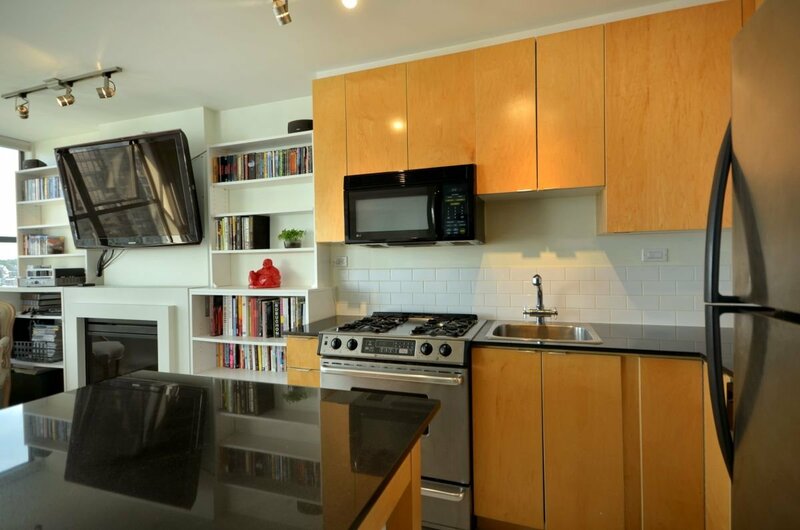 Great use of space topped off with fine finishing's including stone counter tops, wood floors, chef's kitchen with stainless steel appliances, gas cooking, electric fireplace, and a modernist style bathroom. 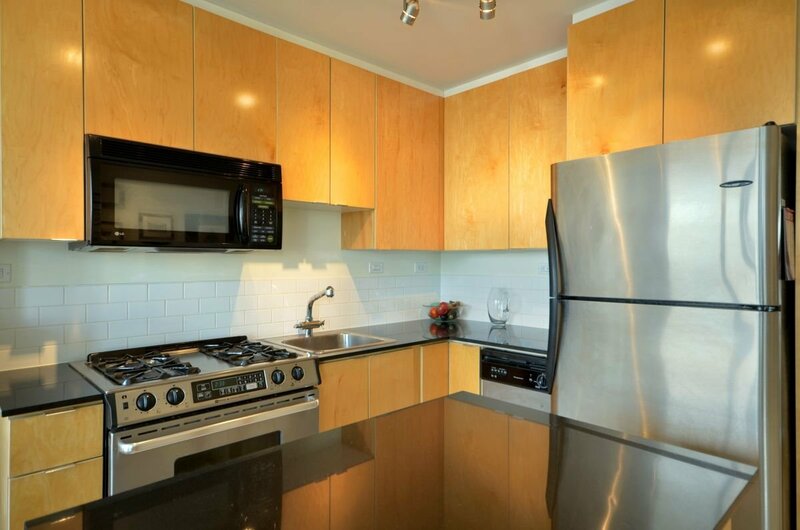 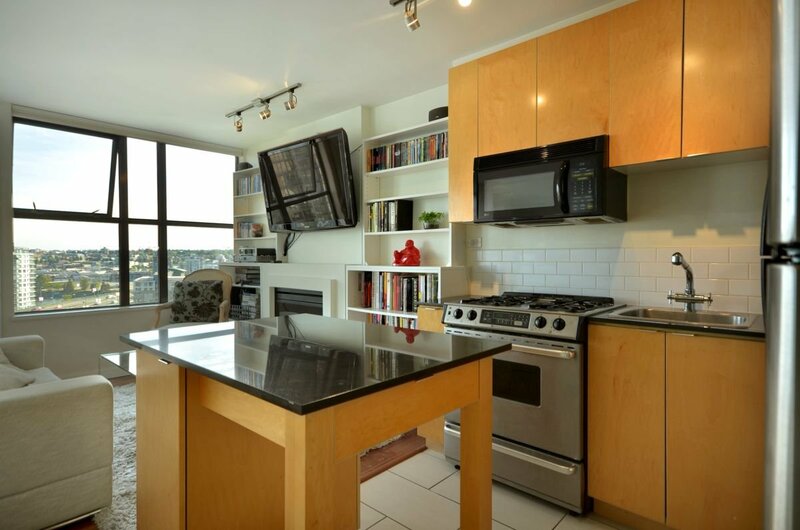 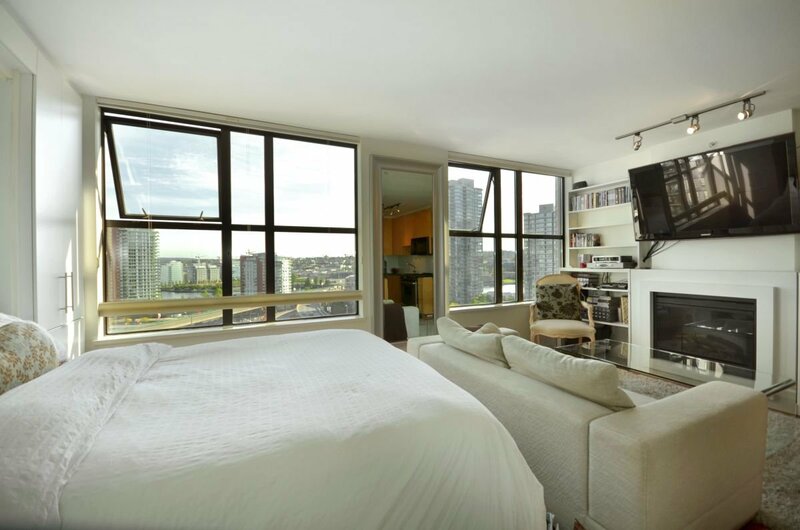 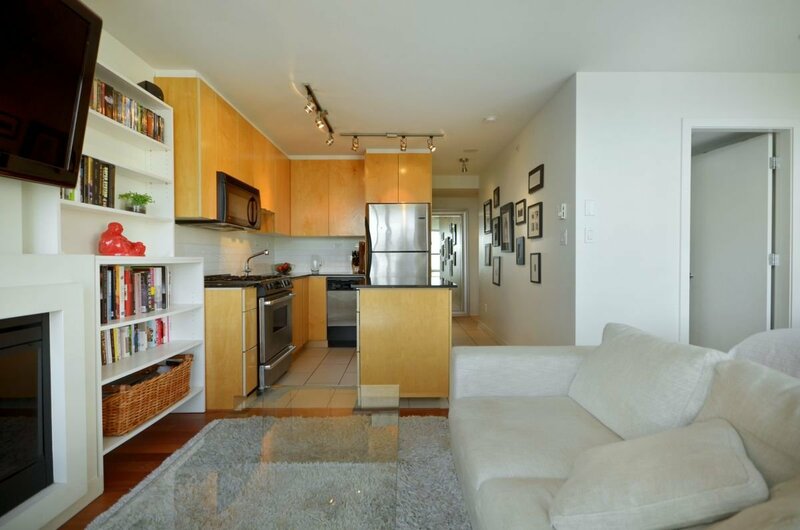 Enjoy great views from the 14th floor of the city and False Creek. 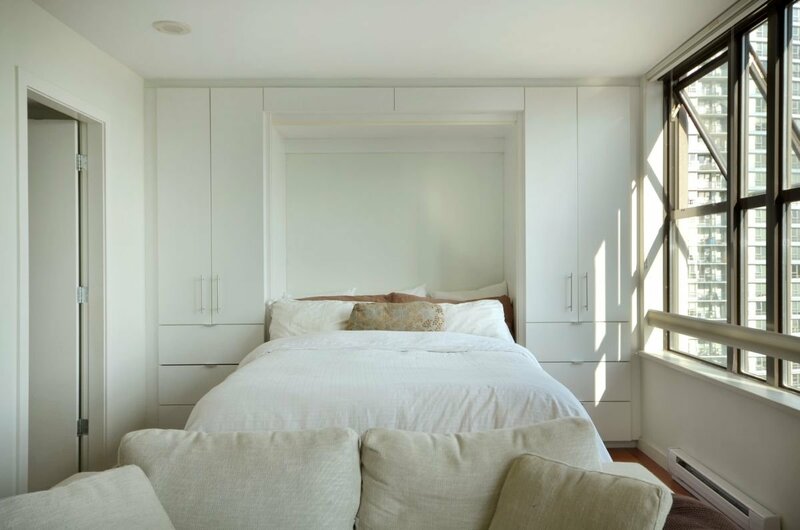 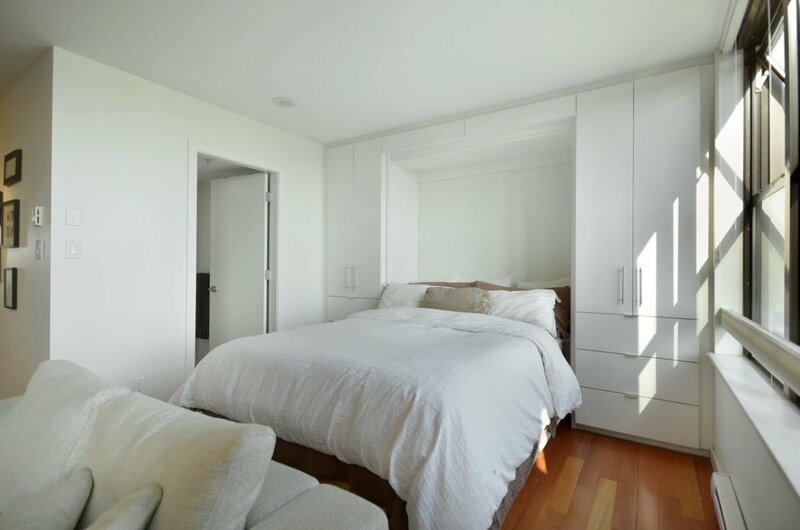 Inside 471 sq.ft., a movable kitchen island, custom-built-ins, and a sleek murphy bed setup are included. 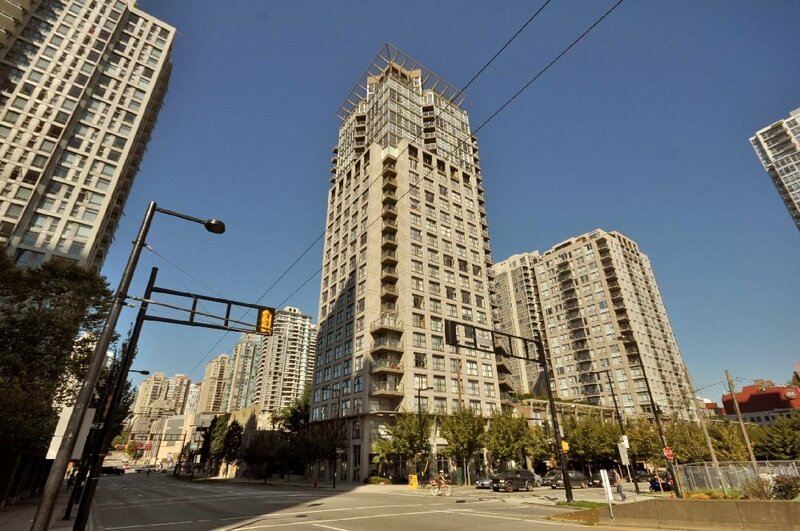 Great quality building, "Nova" built by BOSA in 2004. 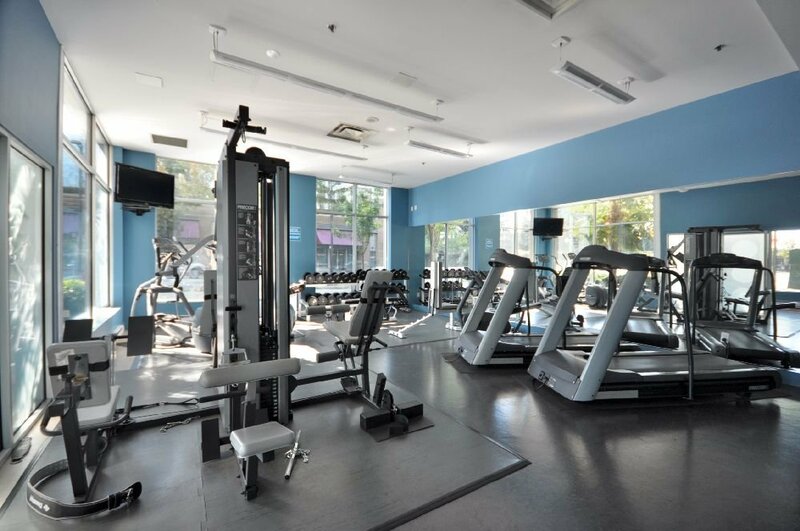 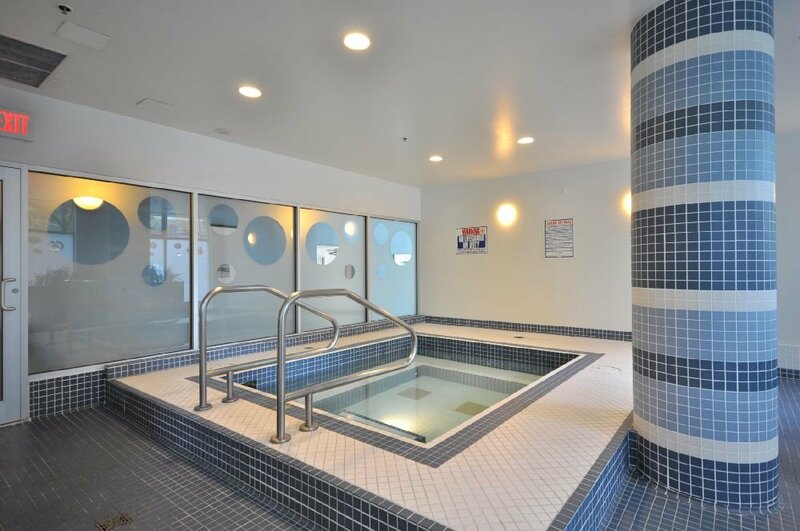 Amenities include: gym, party room, guest suite, and visitor parking. 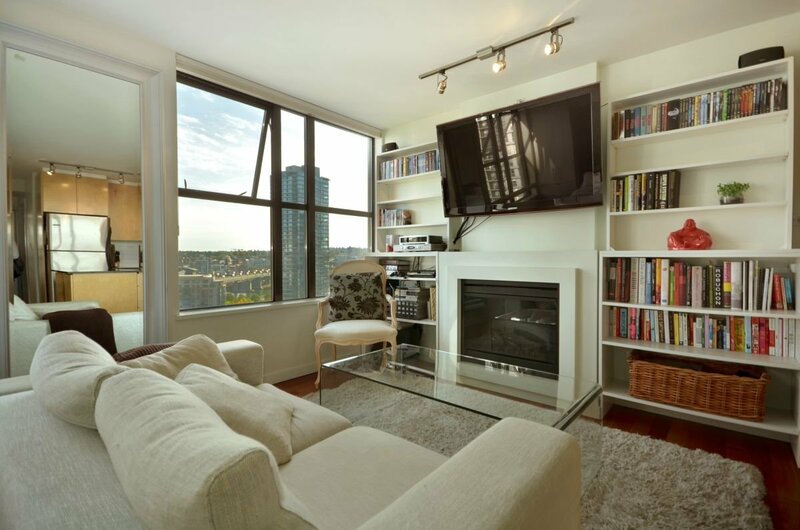 Pets & Rentals are welcome. 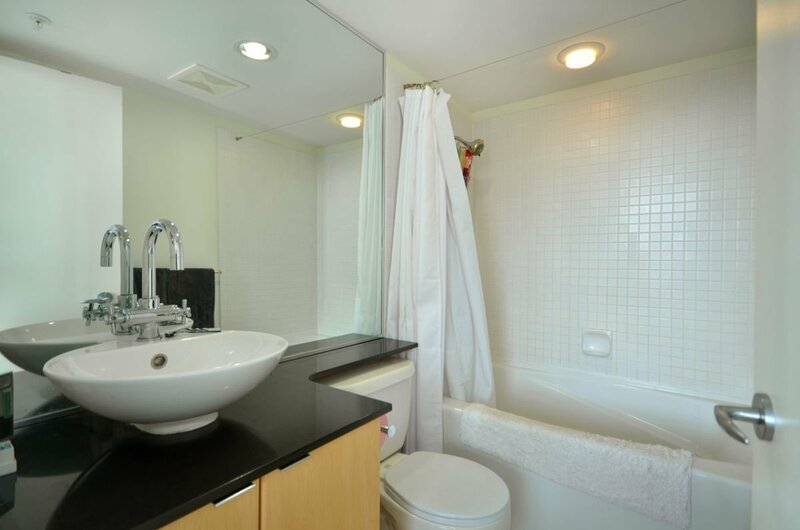 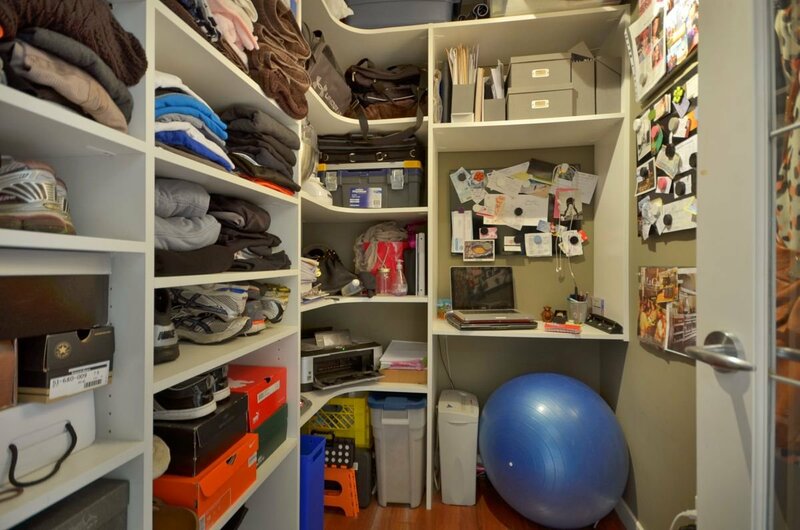 Unit also includes 1 parking and 1 storage locker.